It was a good weekend for getting a PB on 5th March. 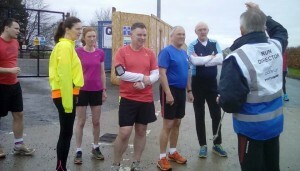 Carrickfergus was attended by Charlie McCormick, Robert Steele, Jonathan Beattie, Jonathon Bell PB (course PB of 22:10), Lynda Shannon (1st lady home), Gareth Hamill, Patrick Hughes PB (parkrun PB of 23:54), Neill Harper, Alyson Sangster PB (parkrun PB of 30:03), Alyn McChesney PB (parkrun PB of 31:21), Julie-Ann Mitchell and Jennifer Jackson PB (parkrun PB of 35:58). Seapark went on tour to Victoria on the 5th March. 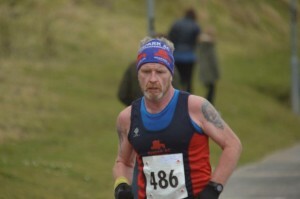 Mark Welsh PB (course PB of 22:00) was the first Seaparker home and was followed by Bobbie Irvine, Ruth ‘Overtake me at your own peril’ Hawkins, Trevor Lamb, Derek Kane (1st run at Victoria), Karen Waring, Alison Welsh, Rebecca Tester (1st run at Victoria), Alan Poag, Julie Kelly (1st run at Victoria), Michael ‘Sprint Finish’ Kane (1st run at Victoria), Geraldine Kane (1st run at Victoria) and Carol Downey (1st run at Victoria). The only other bit of parkrun tourism on 5th was by Ann McCracken who was the sole Seaparker at Ormeau. It was another weekend of PBs on 12th March. 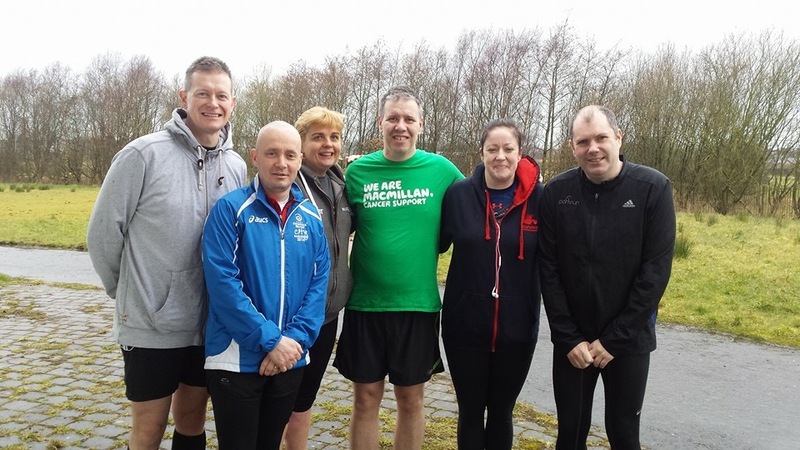 Carrickfergus was attended by Gareth Hamill, Neill Harper, Clive Gray, Karen McMaster PB (course PB of 29:22), Julie-Ann Mitchell and Phillip Poag. 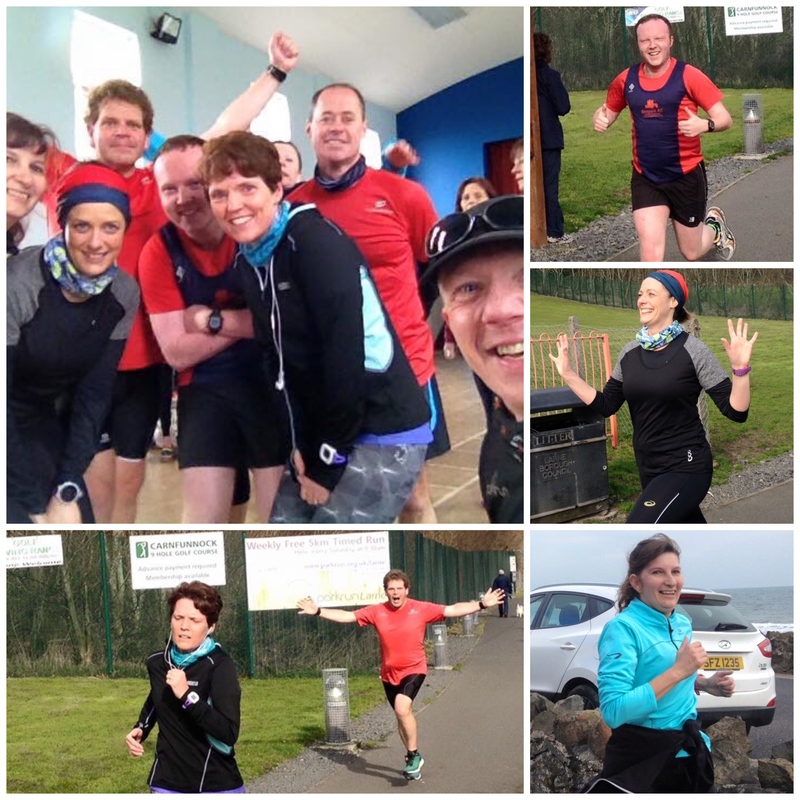 There was a 22 parkrun group outing to Ecos that was attended by Derek Kane (1st run at Ecos), Trevor Lamb (1st run at Ecos), Alan Poag, Geraldine Kane PB (1st run at Ecos + a parkrun PB of 30:27), Michael Kane (1st run at Ecos) and Susan Kane (1st run at Ecos). 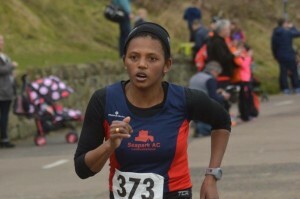 Now Geraldine’s PB was a whopping 48 seconds faster than her last PB. On the one hand that’s a a huge improvement, on the other it’s 47 missed opportunties for other PBs. The other 22 group members didn’t attend Ecos as some had already done it for the challenge (showing how competitive they are in the process). Instead Rebecca Tester went to Armagh for her 1st time (being the first member of the 22 parkrun group to complete it this year), Allan Grant attended Cookstown for his 1st time (again, the first member of the 22 parkrun group to complete it his year) and Karen Waring PB went to Waterworks (obtaining a course PB of 26:38). Another member of the 22 group, Bobbie Irvine PB, went to Wallace (achieving a course PB of 20:41). 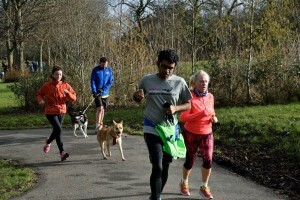 He was accompanied by Ronald Simms PB, who obtained a parkrun PB of 19:29. 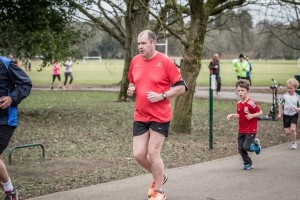 Robert Steel PB went to Victoria, obtaining a parkrun PB of 21:23. While at Ormeau we had Gary Craig, Ann McCracken PB (course PB of 28:22) and Ross Gilmore PB (course PB of 32:57). 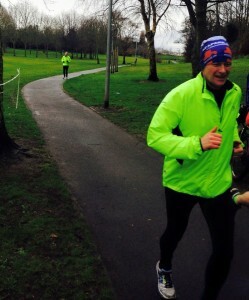 And over on the mainland Gavin Irvine made his 10th appearance at Hull parkrun. It was the weekend of the Larne Half and with 48 Seaparkers attending that event there wasn’t much park running going on for most, but Jonathan Beattie kept the Seapark AC banner going at Carrickfergus with his 49th parkrun (and 41st at Carrickfergus). 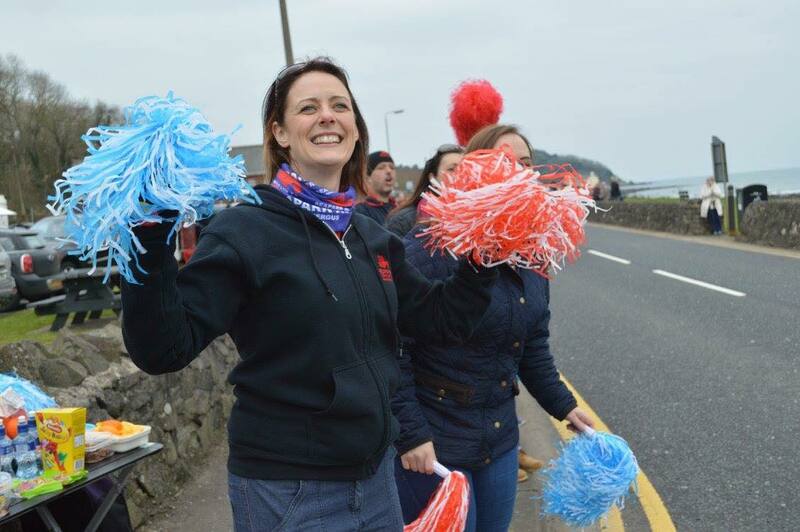 Three members of the Larne Cheer Squad, and three others who ran the Larne Half after, attended the Larne parkrun. 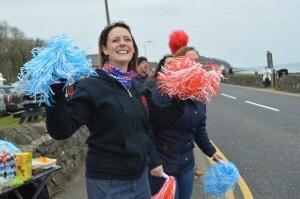 The Cheer Squad members where Robert Murray PB (course PB of 22:06), Ruth Hawkins (1st run at Larne) and Glenda Murray. 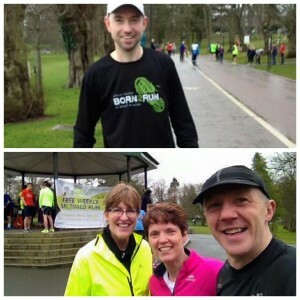 While the three not so wise men who ran 4km to the Larne parkrun, 5km for the parkrun itself, another 4km back to the Larne Half Marathon start and then the half itself (34.1 km/21.2 miles total) were Bobbie Irvine, Gavin Irvine PB (course PB of 27:02 for his 75th parkrun) and Neil Harper (1st run at Larne). 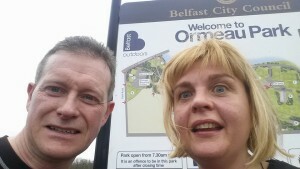 Ormeau was attended by Derek Kane (1st run at Ormeau), Ann McCracken and Susan Kane (1st run at Ormeau). 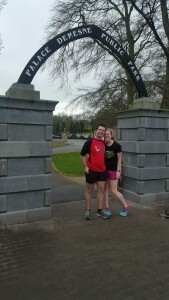 While Gary Craig and Julie Kelly PB (achieving a parkrun PB of 28:08) attended their 1st run each at Ecos. Elsewhere Alan ‘Magnus Magnusson’ Poag returned to the scene of the crime and completed the full Queens course for the first time. 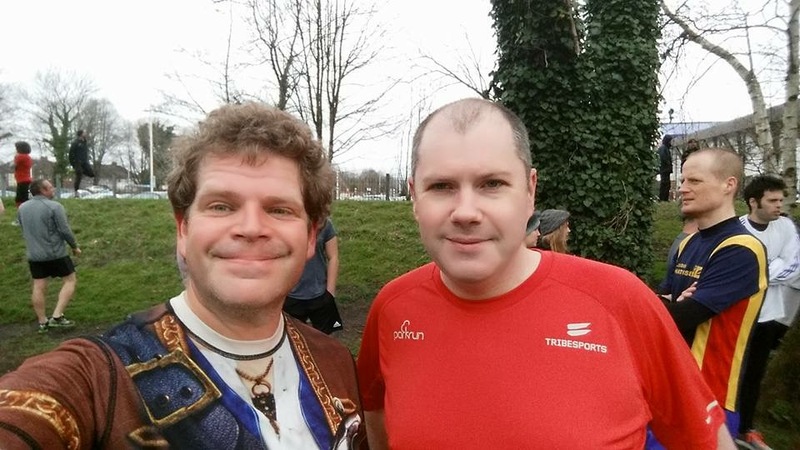 The last Carrickfergus parkrun of March 2016 was attended by Jonathan Beattie (on his 5oth parkrun. 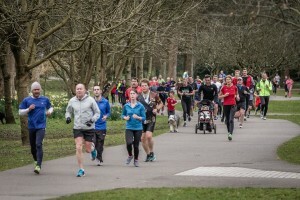 The red t-shirts are coming, the red t-shirts are coming), Allan Grant (who is now in the VM50-54 category), Gareth Hamill, Robert Steele, Clive Gray PB (with a parkrun PB of 27:10), Andrew Smyth and Karen McMaster (on her 75th parkrun). 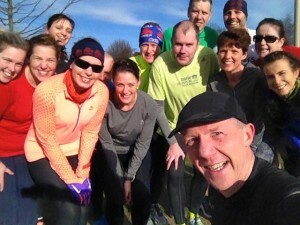 The 22 group is starting to fracture as everyone is trying to get in as many different parkruns as they can. 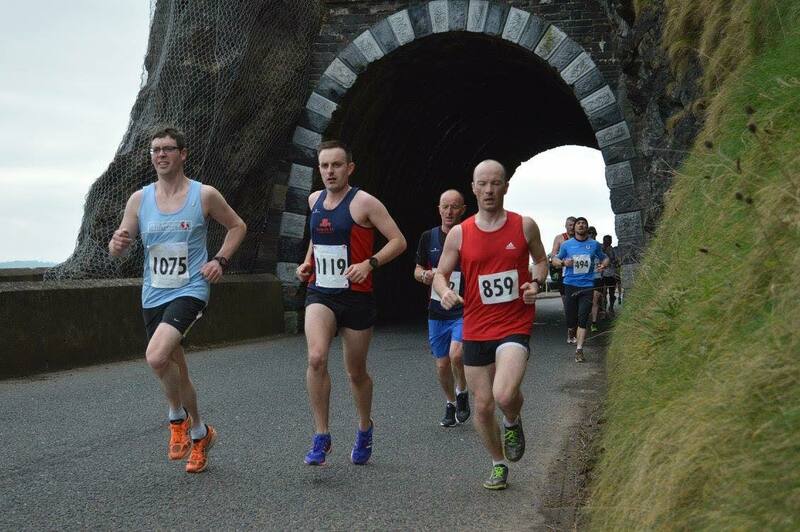 The main group went to the Bangor cakerun, with Mark Welsh PB (course PB of 22:41) being the first Seaparker home. He was followed by Ruth Hawkins (1st run at Bangor), Karen Waring, Alan Poag (1st run at Bangor), Alison Welsh, Rebecca Tester (1st run at Bangor) and Glenda Murray (1st run at Bangor). Other members of the 22 group went to Citypark, Limavady and Waterworks. Citypark, Craigavon was attended by Bobbie Irvine (being the first member of the 22 parkrun group to complete it this year), Gavin Irvine (1st run at Citypark) and Elise Park (1st run at Citypark). 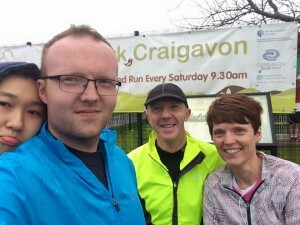 While Derek Kane (again, the first member of the 22 parkrun group to complete it this year), made his 4th appearance at Limavady and at Waterworks we had Gary Craig PB (course PB of 26:01) and Julie Kelly (1st run at Waterworks). 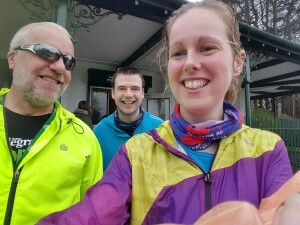 While that was going on Iain Hunter attended his 1st run at Comber and at the second cakerun of the week (Ecos) was attended by Sara Johnston PB (1st run at Ecos with a parkrun PB of 27:05) and Marie Nicholson (1st run at Ecos). 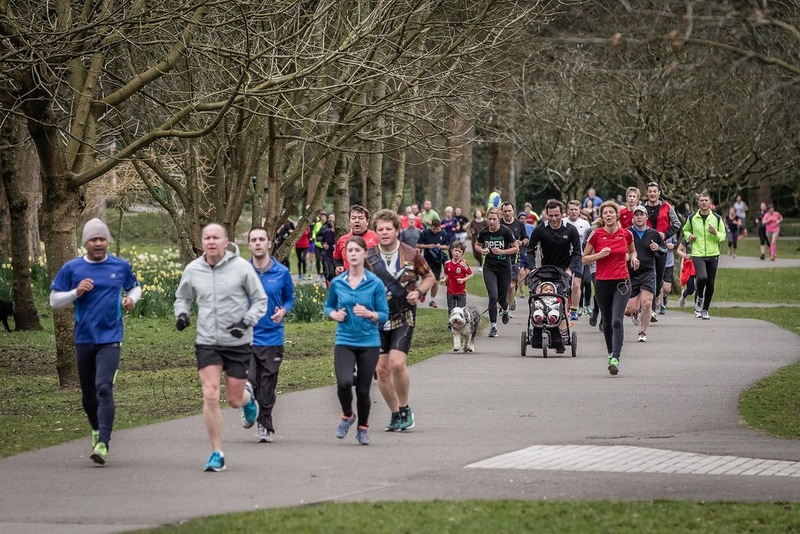 In Wales Neill Harper and Trevor Lamb made their 1st appearance each at the Cardiff parkrun prior to the IAAF/Cardiff University half marathon later that same day (at least it didn’t start to 2:10 pm). It appears that Neill can no longer do a half marathon on its on, instead he has to run to a parkrun (3.2km in this instance), do the parkrun and then run back (3.5km back, detour) before doing the half (32.8 km/20.3 miles total). Trevor on the other hand wasn’t so mad and walked 3.5km to the parkrun, ran the parkrun, walked 3.5km back and then ran the half (only 26.1 km/16.2 miles total). Oh, it’s getting really close. 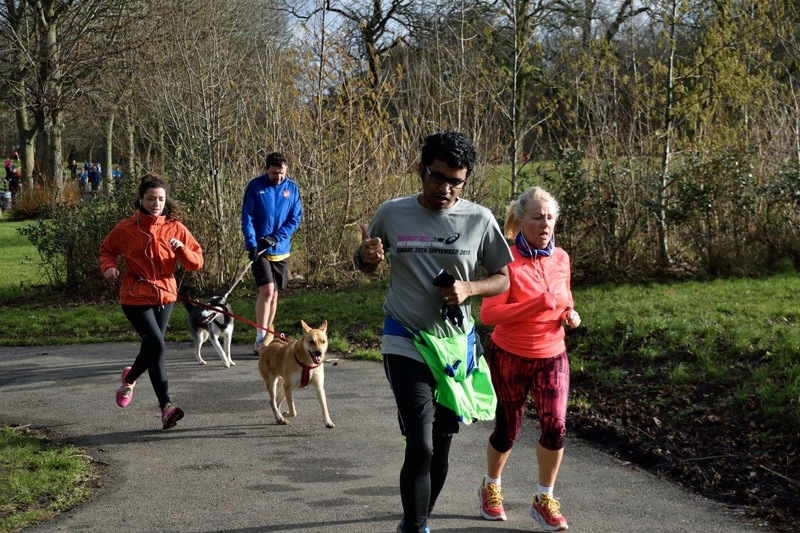 Only 3 parkruns between them. 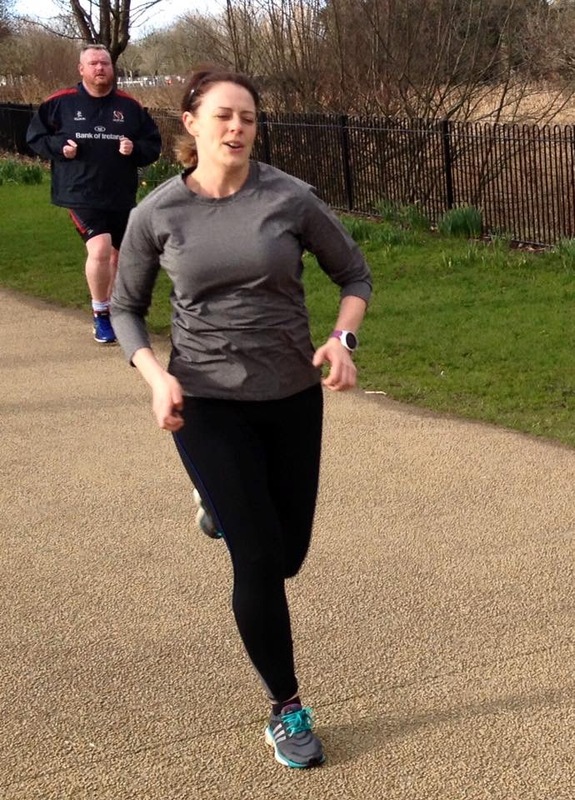 Karen McMaster PB (AKA Team Chair) is at 75 parkruns as off 26/03/16. 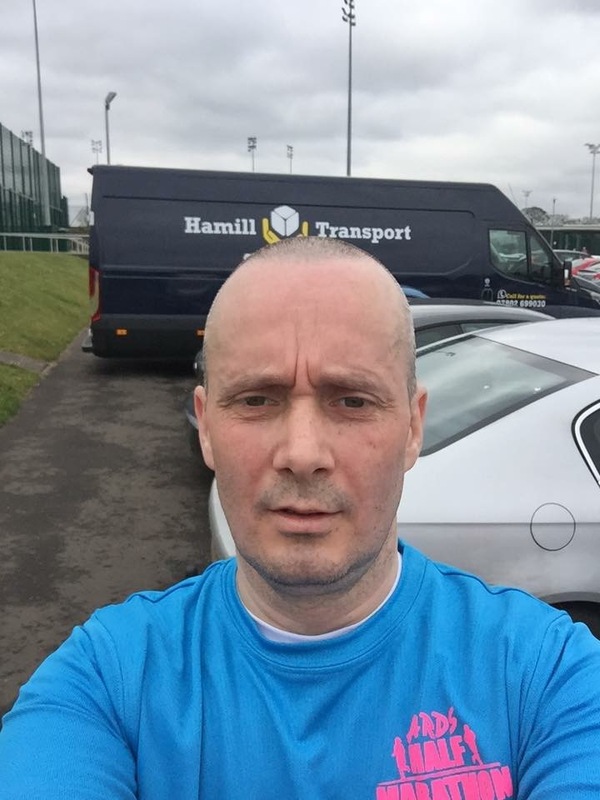 Allan Grant (AKA Team Barcode) is at 74 parkruns as off 26/03/16. Trevor Lamb (AKA Team Wolf) is at 74 parkruns as off 26/03/16. 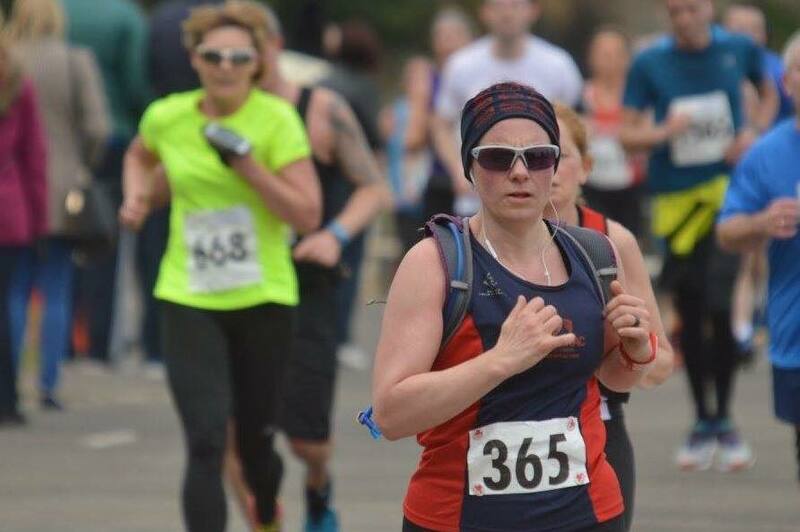 Glenda Murray (AKA Team Devious) is at 72 parkruns as off 26/03/16. 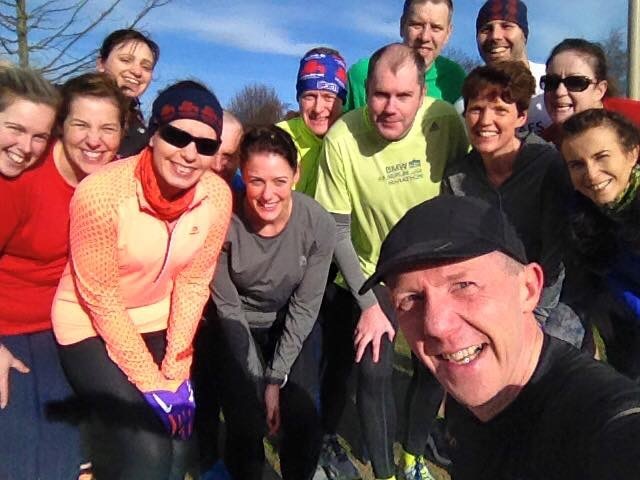 We now have 17 confirmed participants for the 22 NI parkrun as Mark Walsh has jointed the challenge. As of 26th March it looks like this. Antrim, Carrickfergus, Citypark, Comber, Ecos, Larne, Ormeau, Stormont, Valley, Victoria, Wallace & Waterworks. Antrim, Carrickfergus, Comber, Cookstown, Ormeau, Queens, Stormont, Victoria, Wallace & Waterworks. Carrickfergus, Comber, Ecos, Limavady, Ormeau, Queens, Stormont, Valley, Victoria & Wallace. Antrim, Carrickfergus, Comber, Ecos, Ormeau, Queens, Stormont, Victoria, Wallace & Waterworks. Antrim, Bangor, Carrickfergus, Comber, Larne, Ormeau, Queens, Stormont, Wallace & Waterworks. Antrim, Bangor, Carrickfergus, Comber, Ormeau, Stormont, Valley, Victoria, Wallace & Waterworks. Bangor, Carrickfergus, Ecos, Queens, Victoria, Wallace & Waterworks. Carrickfergus, Antrim, Larne, Queens, Wallace & Waterworks. Antrim, Armagh, Bangor, Carrickfergus, Ecos & Victoria. Queens, Ecos, Valley, Victoria & Wallace. Queens, Ecos, Valley, Victoria & Waterworks. Richard Hetherington was the first Seaparker home for the Craic 10K in Belfast on St. Patricks Day with 42:23. 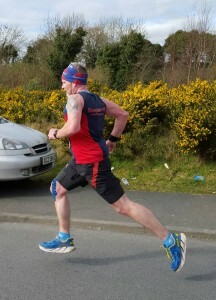 He was soon followed by Gillian Cordner (1st Seapark AC lady home) who had a time of 43:59. Other members in attendance where Gary Connolly (45:28), Patrick Hughes (49:17), Colin McCrum (49:24), Neil Harper (50:21), Ruth Hawkins (50:58), Trevor Lamb (55:03), Carol Woods (55:14), Jenny Robinson (55:46), Rory Poag, on his 1st 10K (58:12), Karen Poag (58:12), Rebecca Tester (58:48), Alyson Sangster (59:04), Ann McCracken (1:00:19), Susan Kane (1:07:26), Caoimhe Rice (1:07:39) and Brendan Rice (1:07:40). The big race of the week was the Larne Half Marathon on Saturday with forty eight Seaparkers attending this event. There were so many Seaparkers that they had their own cheer squad to keep them motivated. 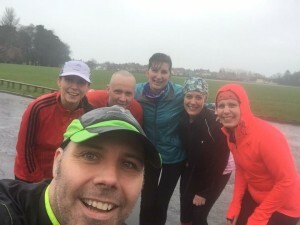 Twenty members achieved a PB for the half marathon distance. 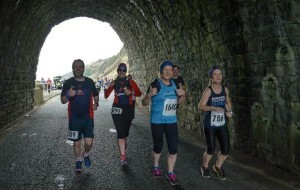 They were Charlie McCormick (1:28:09), Robert Steele (1:38:22), Mark Welsh (1:38:23), Gillian Strudwick (1:44:55), Phillip Mone (1:46:54), Julie Clyde (1:52:42), Julie-Ann Mitchell (1:55:14), Jacqui Coghlan (2:02:39), Jennifer Jackson (2:03:53), Sarah Rea (2:03:55), Philip Magill (2:04:47), Alison Welsh (2:05:35), Lynette Magill (2:06:50), Karen Hanson (2:10:26), Josephine McAlister (2:11:55), Rebecca Tester (2:16:18), Karen McMaster (2:29:13), Beverley Kernoghan (2:31:52), Caroline Mone (2:34:26) and Helena Perry (2:35:12). Three more got a PB for the course. Ian Cleland (1:26:11), Karen Poag (1:52:20) and Trevor Lamb (2:04:28). Plus for another five it was their 1st half marathon. 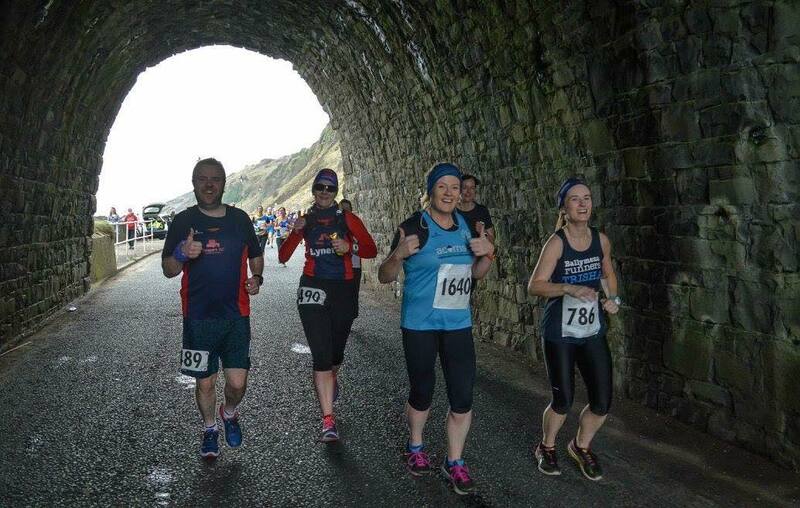 Thomas Dunlop (2:08:36), Laura Laverty (2:13:05), Alison Dunlop (2:17:32), Julie Marshall (2:18:48) and Lauren Scott (2:36:20). Full results are as follows. Ian Cleland (1:26:11, PB for the course), Charlie McCormick (1:28:09 PB), Elisoa Crawford (1:31:30), Brendan Rice (1:32:41), Johnny Preuss (1:33:21), Gillian Cordner (1:35:02), Robert Steele (1:38:22 PB), Mark Welsh (1:38:23 PB), Caroline Salters (1:43:09), Gillian Strudwick (1:44:55 PB), Patrick Hughes (1:45:26), Phillip Mone (1:46:54 PB), Gareth Hamill (1:46:55), Jonathon Bell (1:47:35), Karen Poag (1:52:20, PB for the course), Julie Clyde (1:52:42 PB), Colin McCrum (1:54:24), Andrew Smyth (1:54:53), Julie-Ann Mitchell (1:55:14 PB), Wesley Wallace (1:56:57), Allan Grant (1:59:01), Gavin Irvine (1:59:43), Bobbie Irvine (1:59:44), Aimee Weatherhead (2:01:14), Jacqui Coghlan (2:02:39 PB), Karen Waring (2:02:55), Jennifer Jackson (2:03:53 PB), Sarah Rea (2:03:55 PB), Trevor Lamb (2:04:28, PB for the course), Philip Magill (2:04:47 PB), Neill Harper (2:05:06), Alison Welsh (2:05:35 PB), Lynette Magill (2:06:50 PB), Thomas Dunlop (2:08:36, 1st half marathon), Karen Hanson (2:10:26 PB), Josephine McAlister (2:11:55 PB), Laura Laverty (2:13:05, 1st half marathon), Heather Lown (2:14:43), Rebecca Tester (2:16:18 PB), Alison Dunlop (2:17:32, 1st half marathon), Sara Johnston (2:18:15), Julie Marshall (2:18:48, 1st half marathon), Marie Nicolson (2:20:02), Karen McMaster (2:29:13 PB), Beverley Kernoghan (2:31:52 PB), Caroline Mone (2:34:26 PB), Helena Perry (2:35:12 PB) and Lauren Scott (2:36:20, 1st half marathon). 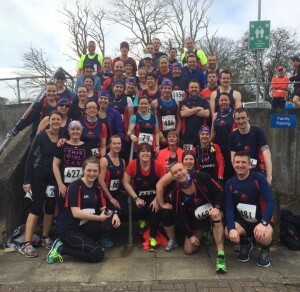 On Sunday 20/03/16 Josephine McAlister achieved another PB, this time for 5K (29:15) at the Jog Belfast 5K Run in Ormeau Park. 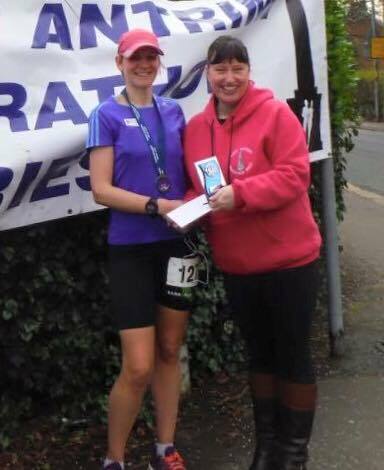 Also in attendance where Alyn McChesney (29:05), Karen Poag (30:01), Neill Harper (30:01) and Helena Perry (33:51). Gillian Cordner and Gary Connolly both did the 6 mile Sports Relief Run in Newtownabbey. Gillian completed it in 42 mins while Gary did his in 46 mins. 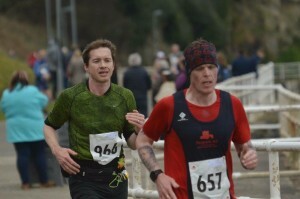 While Ian Hunter came 1st (out of 238) in the Muck It Ireland 5K with a time of 22:25. Saturday 5th March 2016 was a busy day with four races attended by members. 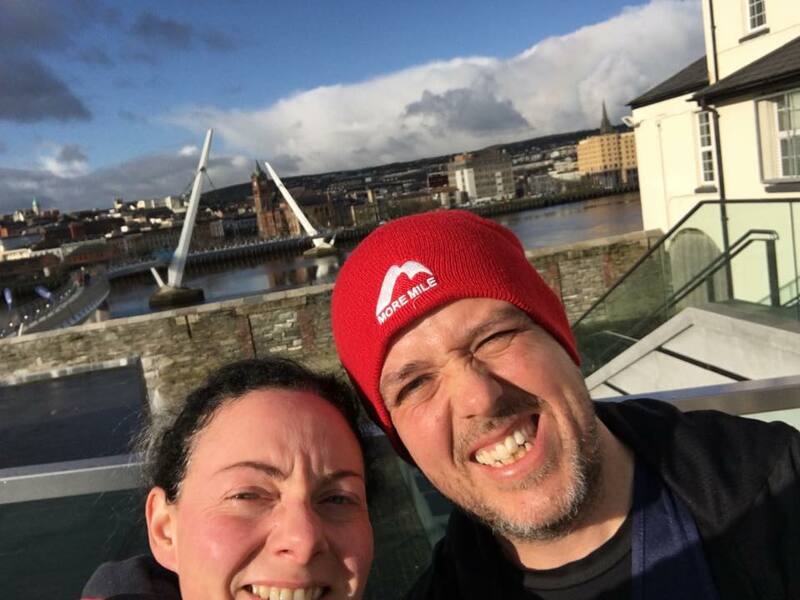 Two Seaparkers completed the SSE Airtricity 10 mile race in the Walled City. 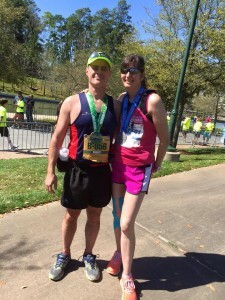 Philip Poag completed it in 1:27:22 while Karen Poag ran it in 1:28:37. Gary Craig did the very steep Gaelforce mountain 12K run in Connemara in a time of 2:45:11 (the first place winner completed it in 1:57:03). There were four peaks to climb at 324m, 574m, 556m and 550m. 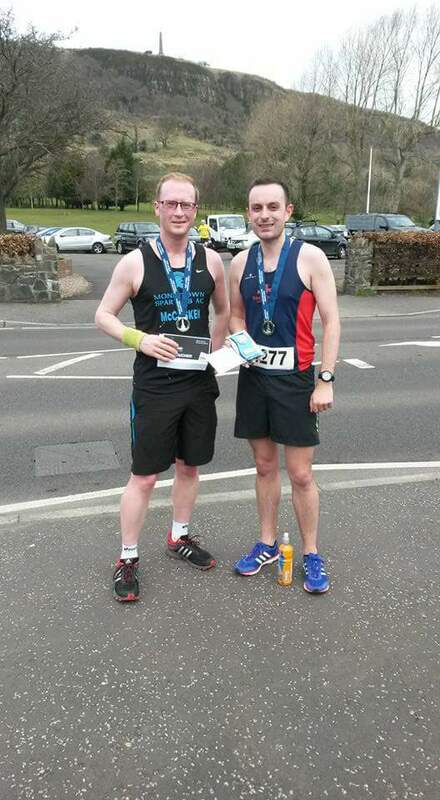 The Slieve Gullion Mountain Race was attended by Chris Livingston, who completed it in 42:19. While over in the USA Robert Murray ran the Woodlands marathon in Texas with a PB of 3:28:35 and Glenda Murray finished the half in 2:24:51. 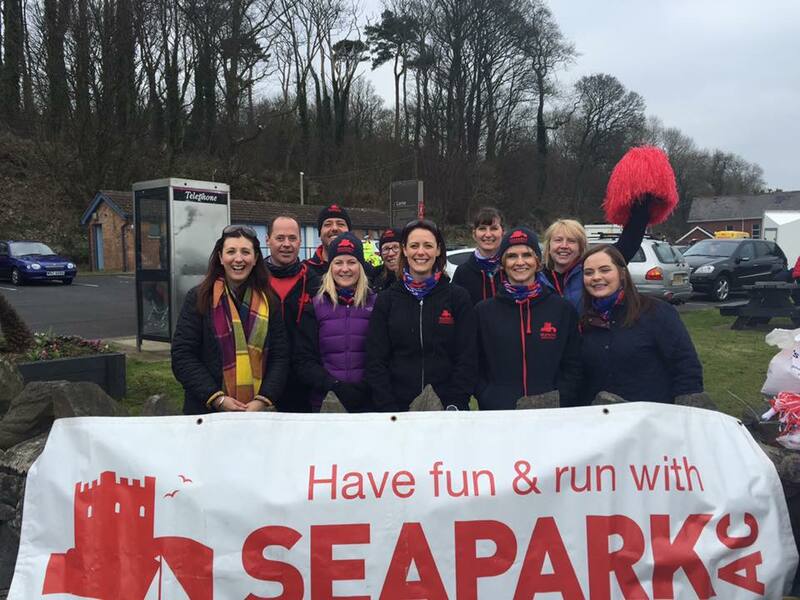 Quite a few members of Seapark AC attended Jimmy’s 10K on 13th March. 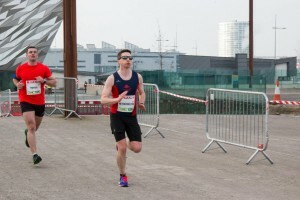 Charlie McCormick was the first Seaparker home with a chip time of 39:56. He was followed by Ronald Simms (41:04), Brendan Rice (PB of 41:47), Clive Weatherhead (42:08), Mark Welsh (45:42), Caroline Salters (46:58), Neill Harper (49:48), Andrew Smyth (50:07), Karen Poag (51:37), Beth McCormick (52:50), Aimee Weatherhead (53:38), Alison Welsh (54:38), Phil Poag (56:29), Trevor Lamb (56:33), Roisin McConnell (56:41), Karen McMaster (1:04:32), Carol Downey (1:10:32 – A six minute improvement on last years time), Geraldine Kane (1:17:54) and Michael Kane (1:18:11). A few more Seapark members took part in the local EAMS race on 13th March. Ian Cleland was the first male home for the half marathon with 1:30:47, while Gillian Cordner was first lady over the line with 1:45, also for the half marathon. Also in attandance where Gary Connolly (1:53 for the half) and Bobbie Irvine (4:11 for the full marathon).